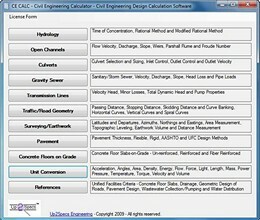 Stand alone software version of the CE CALC website. Runs on the Windows . NET platform. Performs civil engineering calculations for hydrology, open channels, culverts, gravity sewer, transmission lines, traffic/road geometry, surveying/earthwork, pavement, concrete floors and unit conversions. 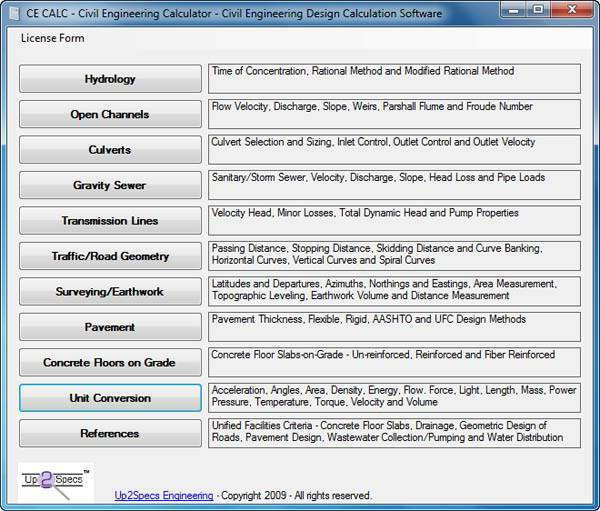 * Civil Calculator download link provides trial version of the software. Civil Calculator has been rated 5.0 out of 5 points. A total of 1 votes cast and 1 users reviewed the software.